We, the civil society of Pakistan, demand Election Commission and Supreme Court to make sure that every Pakistani who wants to exercise his/her democratic right to vote should be facilitated. Therefore, we demand that new elections should be based on NADRA IDENTITY CARDS and PAKISTAN ORIGIN CARD. If democracy is the name of giving people the right to choose then there should be minimum hurdles in expressing the choice. 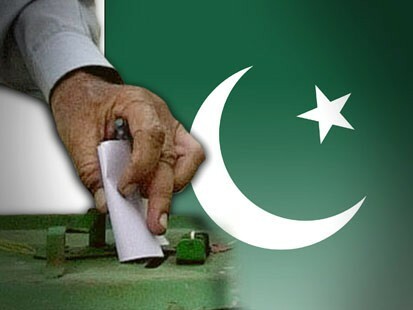 Current registrations with Election Commission of Pakistan will not guarantee the registration of every eligible voter. NADRA’s machine readable cards will also help in ensuring transparency. We also demand Election Commission and Supreme Court to facilitate Overseas Pakistanis especially students by allowing them to cast their votes either in embassy or online. 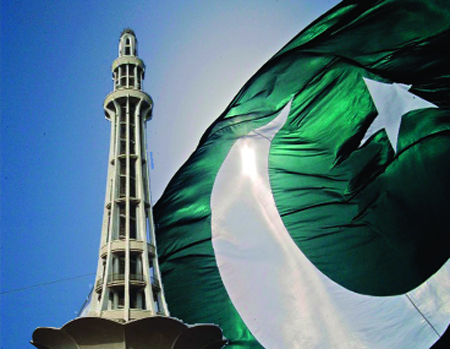 Can 30 October 2011-Lahore be a turning point? It’s not a secret that every sane Pakistani is sick of current plutocracy and military-feudal alliance. We are also stuck into an unwanted foreign war and now as a result of this we are in a self-destruction mode. To come out of this every Pakistani who believes in the concepts of Justice and Freedom must do its best in whatever capacity suitable for individuals. Politics of the country is going on a another potentially significant turning point today as two largest cities will see opposing ideologies on the streets. On one hand people who support the cause of justice and freedom will be there at Minar e Pakistan on the call of Pakistani philanthropist, ex-cricketer and politician, Imran Khan and on the other hand forces of status quo under the leadership of so-called Quaid e Tehreek Altaf Hussain will hold a rally in support of their beloved president Zardari. It is such a hypocrisy that after killing 100s of men from each other’s parties they are still sitting in the same government and supporting each other. Any sensible person in Karachi which is supposed to be the most educated city of Pakistan should not support this fraud with the country and its people. We support the cause for humanity, justice and freedom and encourage everyone, who can go to Minar e Pakistan today, to go and support the movement. ISLAMABAD: Pakistan loses a whopping Rs3,100 billion annually, which if secured, could change the destiny of the country and its hard-pressed people, an international banker and economist says. Dr Shahid Hasan Siddiqui, chairman and chief executive of Research Institute of Islamic Banking and Finance, Karachi, says Pakistan loses Rs1,200 annually because of corruption and another Rs1,900 billion because of tax evasion and non-imposition of taxes by the federal and provincial governments. He said that the country’s economy is badly hurt by corruption, tax evasion, non-imposition of taxes on the rich and powerful, large size of black economy, lack of political will to unearth assets of billions of rupees acquired from concealed income though details of these assets are available in the government record, including bank deposits, amount invested in National Saving Schemes, shares and stock exchange, real estate and vehicles, etc. He said that details of these assets are available in the records of banks, government departments and housing authorities, etc. and if compared with the income tax returns, would generate revenue of a few hundred billion rupees in a short span of time. “This would also go a long way in the documentation of the economy,” he said adding that this would also enable the government to reduce the rate of reformed GST to five percent from the existing 16 percent and abolish all sorts of surcharges and petroleum levies for the benefit of the people. Such a step, he said, would bring immediate relief to the common man and would help reduce inflation to a single digit. The petrol prices, he said, would come down by Rs15 per litre and this would have a positive effect on the lives of the ordinary souls. Explaining the details of his assessments, he said that according to Transparency International and World Bank, 40 percent of the development budget of the country was misappropriated or corrupted i.e. Rs280 billion out of the total Rs700 billion development expenditure. In addition, he said corruption and misappropriation from government procurements also cost the exchequer a few hundred billion rupees more besides Rs300 billion loss due to corruption in the public sector enterprises. He lamented that only 1.8 million out of 180 million population pay income tax whereas there are innumerable corporate concerns that earn millions but declare income of mere Rs100,000. He said the export sector hardly contributes to the income tax revenues whereas the agriculture sector, whose share in the GDP is about Rs3,620 billion, pays hardly a few billions as tax. He added that Pakistan’s powerful cement, sugar and textile sectors hardly pay any income tax whereas properties and bank deposits are mostly not declared and thus no income tax is given. He added that GST is paid by ordinary people but it is not fully deposited with the FBR. Similarly, he said, professionals like engineers, doctors, lawyers and architects don’t pay income tax on most of their income. He added that the tax-to-GDP ratio in Pakistan is 9.5%, which is the lowest in the region. In the regional countries, this ratio is between 14-18 percent. “If we improve our tax ratio to 16 percent, it would mean generating additional taxes of Rs1,400 billion annually,” Siddiqui said. He also talked of fictitious exports and imports, which he said are about 25% of the total exports and imports. Quoting official figures, he said the total rise in exports recorded by the State Bank during the period 2002 to 2007 was $7.8 billion, out of which $5.5 bn was fictitious. ISLAMABAD: Pakistan Tehreek-e-Insaf (PTI) Chairman Imran Khan on Friday said his party would take the issue of drone attacks to the International Court of Justice and appreciated the resolve of the founder of a UK-based legal action charity, Reprieve, to knock on the doors of international courts against such strikes. He said war was too serious a matter to be left to the generals, while a grand Jirga from Waziristan, through a unanimous resolution, called upon Chief Justice Iftikhar Muhammad Chaudhry to take note of the drone attacks and hold an independent and transparent probe into the matter. The Jirga was co-organised by Reprieve and the Foundation for Fundamental Rights to raise awareness about the drone assaults and firm up a line of action on how to halt them. The Jirga demanded of the Pakistani military to stop its operation in Waziristan and said the tribal people were capable of tackling the menace of militancy on their own. The largely-attended forum urged the United Nations Secretary General Ban Ki-moon and UN Special Envoy on Extra Judicial Killings Christof Heyns to help halt the US hegemony, mass killings of tribal people and undermining of Pakistan’s sovereignty by drone attacks. Various participants cautioned that after failing in Afghanistan, the US was looking for an excuse to attack Pakistan. Speakers heaped praise on Reprieve founder Clive Stafford Smith, as well as on Shahazad Akbar of the Foundation of Human Rights for their endeavours to legally fight the drones’ issue and highlight it at different forums. Jemima Khan, the ex-wife of PTI chief Imran Khan, also attended the Jirga session. Imran Khan, during his speech here at a local hotel, quoted France’s ex-prime minister Georges Clemenceau and said war was too serious a matter to be left to the generals. He said generals were handling the tribal areas’ policy with the civilian puppet government having no say at all. Imran said the situation was no different in the US where generals, such as Petraeus, handled the Afghan policy and had no plan-B. The PTI chief said the anti-terrorism war was adding to the number of militants and intensifying militancy, and those who lost their relatives looked for revenge, either becoming militants or supporting the militancy. Later, Imran addressed a rally of his party here at the D-Chowk near parliament and said every minute of the National Assembly proceedings consumed Rs66,000 but its members could not get a unanimous resolution against the drone strikes implemented. Imran said it was a matter of shame that sessions of the lower house of parliament were costing the national exchequer so much but in return legislators had failed to come up to the nation’s expectations. Amid chants of ‘shame, shame’, the PTI chief said the APC resolution had clearly said that if the US did not stop drones, the Nato supply would be blocked. “Did the MNAs do so? Instead, drones continue to hit Fata,” he said. He called President Asif Ali Zardari ‘Sadar Zardari, Bari Bemari’ and said: “We have no hopes in him, since he is a beneficiary of the NRO, which has bound him to silently support drones and remain loyal to the US”. Similarly, Nawaz Sharif and Shahbaz Sharif, whom he called the Dengue Brothers, have also disappointed everyone, Imran said. He asked why they were holding a public meeting in Lahore whereas Zardari was sitting in Islamabad. PTI workers warmly welcomed Clive Smith, when Imran invited him to express his views on the matter. “What we need is your support and a pat on the back to take forward the issue. We need evidence,” he remarked. Clive Smith said: “We will be going to the US, France, Germany and other European countries to raise the issue”. He described drone attacks on Waziristan as a criminal offence. Earlier, the rally participants endorsed the resolution, adopted by the Waziristan Grand Jirga, by raising their hands. The Jirga’s resolution confirmed that US spy agency CIA was responsible for the drone attacks in Pakistan and such strikes were being carried out by CIA agents sitting in Pakistan and abroad, which was a flagrant violation of the country’s laws as well as international laws. The proceedings were bumpy, as at one point, Kamran Khan, an MNA from Fata, and a tribal elder, Khan Marjan, exchanged hot words (mostly in Pashto), accusing each other of being non-serious about drones. The images of collateral damage caused so far by drone strikes were shown on a projector and saddened the audience. Mutilated bodies of children and elderly people were painful for the viewers who watched with disbelief. The resolution noted that Fata, particularly the North and South Waziristan Agencies, were part of Pakistan and its inhabitants were Pakistani citizens under Article 1 of the Constitution. However, the state and its institutions had failed to safeguard the fundamental human rights there such as the right to live. It also noted that attacks were mostly inflicted during late night so that the tribal people could remain in grip of fear and insecurity. The resolution confirmed that drone assaults were mostly carried out on residential areas and homes, resulting into the deaths of innocent women and children. APP adds: Addressing the rally, Imran Khan condemned what he called the ‘criminal silence’ of non-government organisations (NGOs) on drones that claimed to be champions of human rights. He asked the government to quit if it could not take action in this regard and said civilian casualties because of the drones were increasing with each passing day. He said the judiciary was independent, but some people were a major hurdle in the way of the implementation of the Supreme Court’s decisions. He demanded the implementation of the resolution adopted in the recently-held All Parties Conference. “After coming into power, the PTI will introduce an economic system that will protect the rights of consumers and investors, and will convince foreigners to invest in Pakistan,” he added.